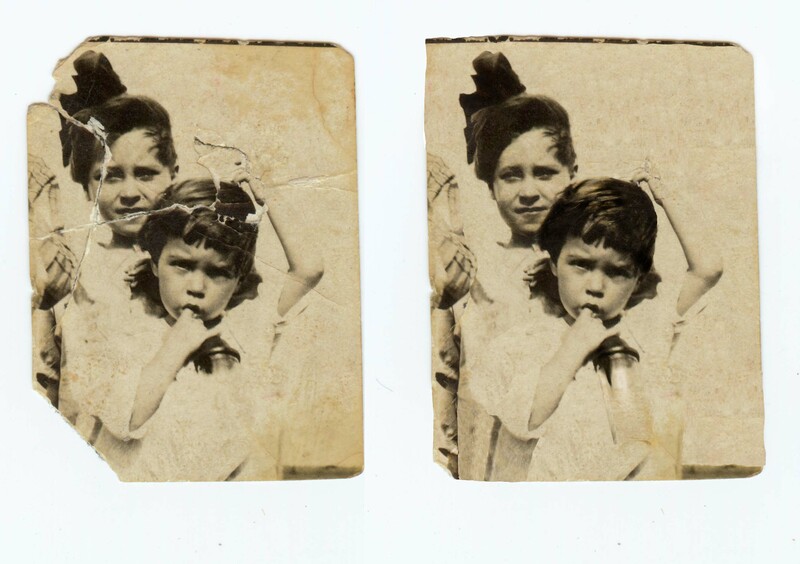 This is a picture of my Gramme and her older sister, taken in 1918. The original photo is 4cm x 2.5cm so I had to scan it in extremely high-resolution. I’ve put at least 8 hours into this restoration and although it isn’t completely done, I’m ready to share it with you. Gramme passed at 95 so this little picture has special meaning for me. Next Post3D Animation, next year. God Bless Gramme! I remember her from the old days. You know, 1911, when we were in our 20’s. This is wonderful! Your Mama will love it. I fixed one of my Parent’s where my Dad wrote funny “bubble talk” coming from their mouths. When he got older, he used to be upset with himself over it. After I took Photoshop, I was able to restore it. We have copies of both!